With a fast 10 minute setup, the award-winning TLS Accelerator delivers full TLS (SSL's successor) and SSL certificate management with a absolute emphasis on security. In fact, TLS Accelerator is the only Accelerator that is ready to go out of the box with Perfect Forward Secrecy, TLS version 1.2 by default, and both BEAST and CRIME protection. Our certificate management won the highest ranking from SSL Labs and delivers TLS v1.2 to browsers that support it, stepping down to SSLv3 and v2 for older browsers. You'll be up and running in ten minutes! In fact, using the built-in self-signed certificate generator and the low-cost micro edition, there's no reason to not have all of your internal and development applications protected. 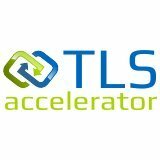 All editions of TLS Accelerator provide full support for EV-SSL and wildcard certificates. Secure by Default: TLS Accelerator is the ONLY accelerator that mitigates BEAST and provides Perfect Forward Secrecy out of the box. Awarded "A" Rating from both SSL Labs and GlobalSign! Easy: Just three steps to full validated SSL certificates, or get up and running with custom self-signed TLS certificates right out of the box! WAF: OWASP-Compliant Web Application Firewall supports all HTTP applications and hardens your public and intranet or development HTTP applications, including REST APIs; development and internal applications are perfect for the micro edition.